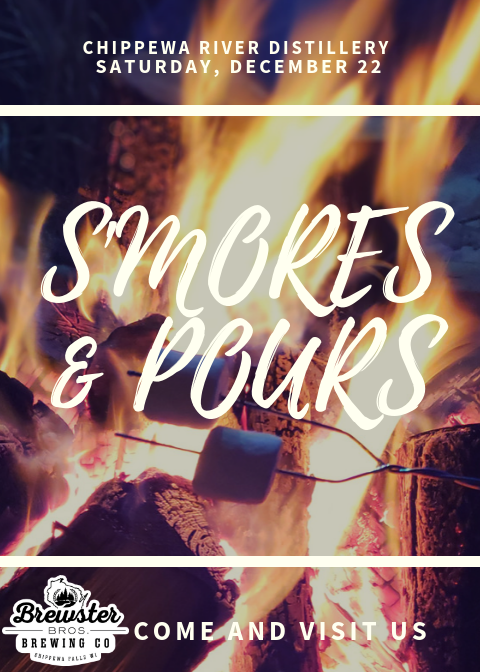 S'mores and Pours — Chippewa River Distillery & Brewster Bros. Brewing Co.
Join us for S'mores and Pours! We will have a fire blazing, drinks pouring and S'mores and hotdogs roasting! The fire will keep you toasty warm and so will our holiday drinks!